A fresh leak of radioactive water was detected at the damaged Fukushima nuclear plant on Sunday, raising new concerns about ongoing efforts to clean up the site. Tokyo Electric Power Co. (TEPCO), which operates the Fukushima Daiichi plant, said sensors attached to a drainage channel that diverts rain and groundwater from the plant into the Pacific Ocean detected contamination levels up to 70 times greater than the already-high radiation levels previously documented at the facility. 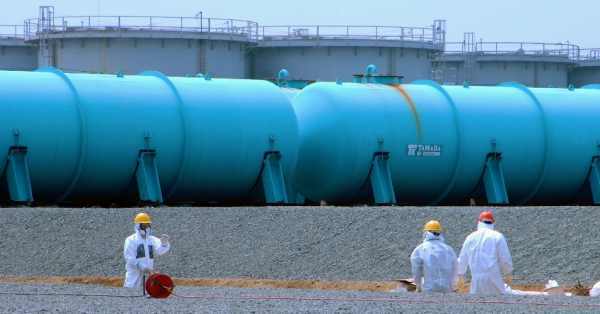 A TEPCO representative said its emergency inspections of those tanks storing nuclear waste water did not find any additional abnormalities and that radiation levels had since been reduced to 10 to 20 times the normal levels. The company remains unclear on how the contamination occurred. Just last week, the United Nations’ International Atomic Energy Agency said Japan has made “significant progress” in cleaning up the site of the 2011 disaster.